The life of an email marketer is tough because numbers don’t lie. If you don’t do your job properly, you will find your email marketing campaign reaching fewer and fewer people. Less people translates to lower revenue. When you see your open rate dropping below your normal threshold, you know it’s one of two things. First reason might be that your email content is too boring so nobody bothers to read them. Second reason could be that you are sending your emails to spam traps. For the purpose of this article, we’ll assume you are not that boring. Spam trap is a mechanism to detect when someone is a spammer. They are basically email addresses that have only one purpose which is to catch someone who is sending spam. If you send any email to these addresses, you will be marked as a spammer. 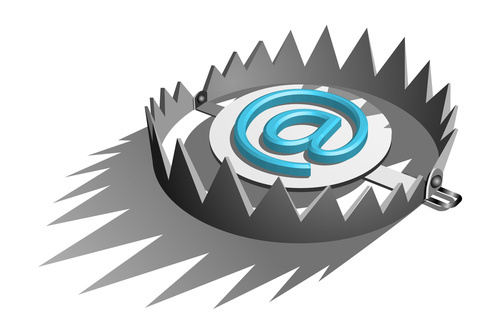 Below are two of the more common types of spam traps that will impact on the success of your email marketing campaign. Pristine spam trap – This type of spam trap is the most dangerous as there is no way an ethical email marketer who practices double opt-in will ever encounter them. This means anyone who sends an email to these addresses will definitely be a spammer who has either scraped these emails off some website or bought the mailing list from someone who did. These emails are usually sprinkled in webpage codes which are not visible to normal web users but is able to be harvested by web scraping programs. How to avoid: Don’t purchase your mailing list. Always build your own from scratch using double opt-in. Recycled email trap – This type of spam trap happens on occasion to even email marketer who practices double opt-in. These email addresses used to be assigned to real users hence there is a high probability that they appear on some mailing list somewhere. Nothing wrong with that but users do have a tendency at times to change email addresses or they might have forgotten their login. This means the email account was dormant for quite a long while. Free email providers like Yahoo and Hotmail will disable these email addresses if they weren’t accessed in a long while. After a suitably long period of bouncing any emails received at those addresses, they are reactivated as honeypots to lure unsuspecting spammers. They will receive emails without bouncing but the sender will be marked as a spammer. How to avoid: Send more regular email newsletters or perform re-engagement campaigns on a regular basis. Monitor your open rates so if any recipient hasn’t opened your email marketing materials in a while, best to send them a re-engagement campaign to ask if they still wish to remain on your mailing list. If you notice your emails to them being bounced, unsubscribe them immediately.